← Wednesday, March 27th is Whole Grain Sampling Day! Make March a Whole Grain Spring Odyssey! There are so many delicious whole grain baking options and so little time! While you’re celebrating 2019 Nutrition Month, why not make it a whole grain food odyssey? Our partner, Child and Adult Care Food Programs, sets the bar high for us all—See what they provide for Every Day Nutrition. Hey, if it’s good for our kids, it’s a no brainer for us adults to try to live up to! Adding fruits, veggies, whole grains and reducing sodium are all benefits of “B-I-Y” –bake- it-yourself. 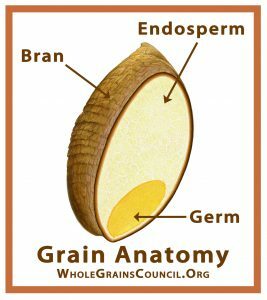 To begin your March Whole Grain Nutrition Month Odyssey, take time for the Whole Grain 101 tutorial! Field to oven, wheat farmers offer many tried and true whole grain recipes. My bread baking began with bread we needed every day. This 100% Whole Wheat is made with hard whole white wheat, one of six classes grown in the U.S. 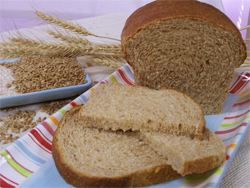 It is ideal to produce a lighter color and sweeter flavor whole wheat product. Follow the CACFP guide and add-a-grain like cornmeal and a fruit! 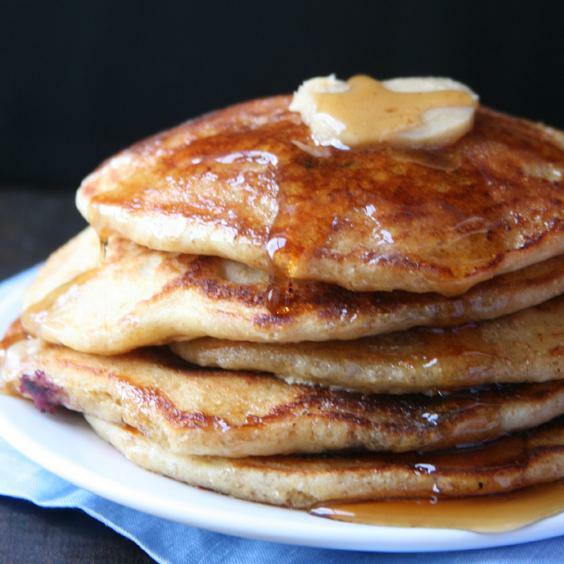 Cornmeal Blueberry Buttermilk Pancakes from the Hodgson Mill test kitchens include maple syrup and simply melt in your mouth. Hecker’s Ceresota Mill adds apple and cinnamon for a delicious Whole Wheat Apple Muffin with Streusel. Yum.